EU's financial system still faces serious risks, including stemming from the resistance of the financial sector itself against increased regulation, warned the vice chairs of the European Systemic Risk Board (ESRB), Mervyn King and Andrea Enria during their first hearing in the Committee on Economic and Monetary Affairs at the European Parliament. They, however, assured that the ESRB would not “shy away from making all the warnings and recommendations it considered necessary”. The Frankfurt-based European Systemic Risk Board has been functioning since the beginning of this year. The ESRB is part of the European supervisory framework adopted in 2010. Its task is to develop a common set of indicators for risk assessment of specific cross-border financial institutions and, on the basis of an analysis, to issue early warnings and recommendations. Along with the ESRB, the European Supervisory Authorities have been created: the European Banking Authority (EBA), the European Insurance and Occupational Pensions Authority (EIOPA) and the European Securities and Markets Authority (ESMA). The process was accompanied by bitter disputes between the European Parliament and the Council (the Member States) on the specific powers of the different institutions. Upon the insistence of the European Parliament, during the first five years the president of the European Central Bank will also be a president of the ESRB, because thus the position will also be given independence and moral authority, as well as a clear identification of its responsibility to citizens. So it was no accident that both vice chairs of the Board repeatedly told parliamentarians that they would rely on their support. “At times, the ESRB is going to have to take very unpopular decisions and face an immense lobby. 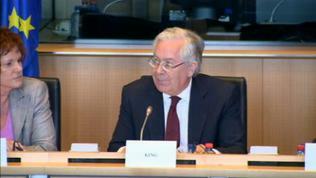 We count on the EP to support us in those days”, Mervyn King said, first Vice Chair of the ESRB and Governor of the Bank of England. 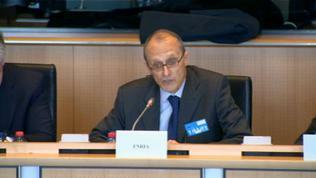 In a similar vein spoke his colleague Andrea Enria, also an ESRB Vice Chair and head of the European Banking Authority. He acknowledged that the ESRB is facing “significant challenges” both in data collection on systemic risk and on the credibility of that data. Regarding the bank stress-tests that are currently underway, both ESRB Vice-Chairs stressed that the results should not be interpreted simplistically - banks which don’t pass to be considered “failed” and those that pass - to be be "ignored or forgotten" as safe. 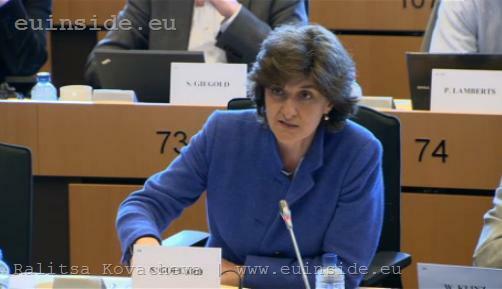 Ms Sylvie Goulard MEP (ALDE, France) asked the ESRB representatives how far were they ready to go if they felt that some member state didn’t want European authorities to interfere in their internal politics. The two vice chairs pointed out that it was very important national authorities to be ready with plans to respond before the publication of the results in order to avoid creating a gap if recapitalisation of banks was needed. The national authorities will have six months to take appropriate actions to the troubled financial institutions. Andrea Enria noted that for the first time supervisors intended to conduct peer review of the tests, because so far this a precedent in the EU - an authority to scrutinise a bank that is not within its jurisdiction. He said a European methodology was needed to ensure that data was reliable enough. His colleague Mervyn King spoke out against the bank resolution funds, because the pressure to use them for financial sector bailout would be enormous. The problem is the "too big to fail" financial institutions. 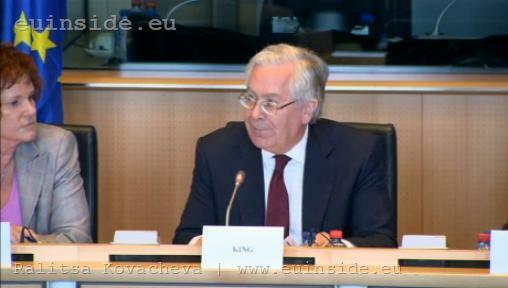 The banking systems should never become as big as they did in economies such as Ireland and Spain, Mr King said. He warned that increasing interest rates in the long term would increase the debt burden and hence the economic challenges in the EU.